Since being diagnosed with Irritable Bowel Syndrome (IBS) in 2013, I have been following a modified low FODMAP diet. 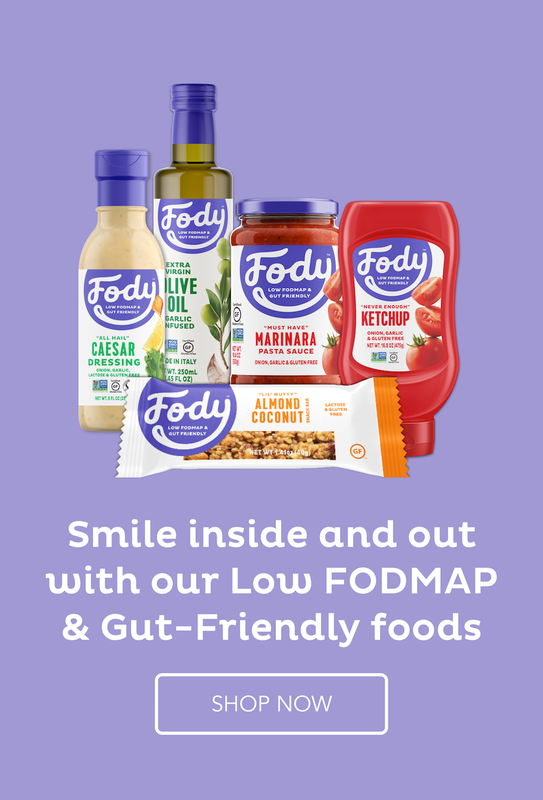 This means that even after four years, I still have to eat 80% low FODMAP food in order to stay below my safe threshold and avoid those awful symptoms. Thankfully, cooking low FODMAP food is not an effort anymore – I know what I can tolerate and what food I should avoid. I am the only member of my family suffering from IBS, but for convenience I tend to prepare mostly low FODMAP food for everybody at dinner time and generally nobody complains about the fact that they are missing high FODMAP ingredients in the recipes. One of my most popular dinners is a low FODMAP Cottage Pie. With some easy modifications, I transform this classic British dish into one that is also low Fodmap for me. Originally (pre-IBS), I used to prepare this recipe with garlic, onion, celery, carrots, peas and sweetcorn; now I use garlic and onion infused oils, carrots, a smaller quantity of celery and any low FODMAP vegetables I like and I can tolerate and that I have in the fridge or freezer. I hope you will enjoy it as much as I and my family do. Turn the heat down and simmer until tender (after approximately 12 minutes insert a knife in one of the potatoes to see if it's cooked all the way through). If you don’t like or can’t tolerate broccoli, replace with zucchini, or another low FODMAP vegetable. *Low FODMAP gravy mix powder: Gravox gravy powder has no onion or garlic, but if you cannot find this or another suitable gravy powder, use 3 tablespoons corn flour as a thickener and 1 tablespoon tamari sauce for a bit more taste. **Massel 7’s Bouillon Cubes contain no garlic nor onion and can be used to make the broth. For the mashed potato: There are hundreds of types of potatoes around the world, but most chefs agree that the best potatoes for mashing are the starchy types. Depending on which country you live in, there are different types that are suitable. Just to give you an idea, in Australia go for Coliban, Dutch Creams, Golden delights, Sebago. In the USA, select Russets, or all-purpose potatoes like the Yukon golds. In the UK, Maris Piper potatoes seem to be Jamie Oliver’s favourite for mashing, another one is Desiree. Larah is an IBS sufferer, who had her life transformed by the low FODMAP diet and for this reason she is now a great advocate of the diet. In addition to her Journey Into The Low FODMAP blog, Larah hosts the Low FODMAP Diet & IBS podcast, which is available on iTunes and on her website.